What the hell are you doing, how are you going to get the tank on with that bar in the way??? Last edited by TomTom; May 8th, 2015 at 11:55 AM. Cast light on the tatters of my ignorance! What is Ivo / Ivc / Evo / Evc? Intake/exhaust valve open/close? And duration is the range between those? 540 / 539 - Intake lift .384, duration 248. Exhaust lift .400, duration 256. No that's not a wheelie bar it's a suicide shift/ drift lever. From my limited knowledge tourist the duration @050 is a measurement of meaningful lift, the most important event is the IVC, what I didn't record but did observe was the viscous ramps on the cam, I can only imagine I will be replacing followers and valve springs before 200hrs. With the intended timing Id agree, but if timed differently the KTM will make a tad more mid and same top end. BUT I dont think its worth it, if thats what you mean. I did a bunch of simulation the other day and to get the 570 purring enough to make it worth while more lift is needed, but I cant see the valve train capable of that. Probably better to make the bike lighter at this point or something in that fashion yes. Last edited by TomTom; May 19th, 2015 at 07:46 AM. I'm on about the two Husaberg cams TomTom. FE570e and FX450. these cams are very short duration and the lobe centres are MX. 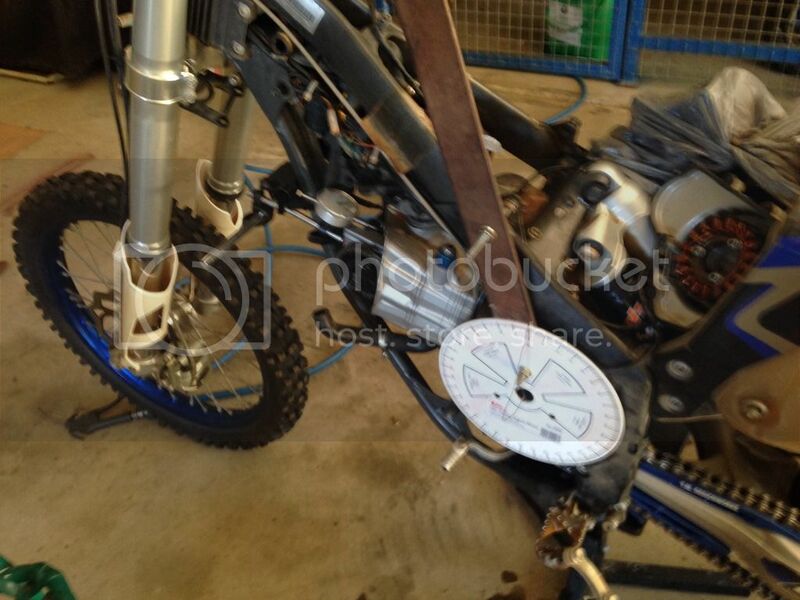 with the new parts numbering you can't tell what KTM have got without doing the grunt work yourself. Add more compression someone might say, problem is the combustion chamber is very good and can take a flat piston with the oem cam already, so without testing Id say a long duration here will just take mid down. All speculation being with a somewhat normal cam profile. However if more lift can be acheived somehow, then it will take off. 250/260 duration 112/105 timing 11.5mm/10.5mm would be nice. If there is someone here that has penetrated the valvetrain and can tell if it can take more lift, please let me know! Last edited by TomTom; May 19th, 2015 at 08:40 AM. Last edited by Torque Monster; May 19th, 2015 at 12:21 PM.